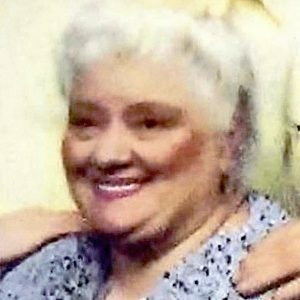 Evelyn K. Temple, 78, of Zanesville, died 4:24 AM, Sunday, April 14, 2019, at Genesis Hospital. She was born Sunday, December 8, 1940, in Zanesville, the daughter of Charles Edgar Jones and Katherine Cecilia (Comer) Jones. Evelyn was a 1959 graduate of Philo High School and loved her monthly lunch dates with her fellow 59ers Club. She worked at Essex Wire and Dairy Mart on Maysville Pike, where she never met a stranger. She was co-owner and operated Troll’s Restaurant in Frazeysburg, along with her son: Troy Temple. Prior to Troll’s Restaurant she cooked at Double T Cafeteria on the OSU Campus. She loved bingo and spending time with her family. Evelyn is survived by her children: John Dean Temple and Joseph Edgar Temple both of Zanesville, Tina Rose (Joseph “Skeeter” Smith, Jr.) Temple of Frazeysburg; grandchildren: Jade Allen Temple and TaKoda Ron Temple both of Zanesville, Breanna Lynn and Braden Michael Smith both of Frazeysburg; two great grandchildren: siblings: Charles Edward Jones of Zanesville, Carolyn Sue Jones-Davis of Johnstown, Nancy (Ernie) Boggs of FL, a special sister-in-law: Helen Temple of Zanesville, numerous nieces, nephews and cousins. The family would like to give a special thanks to Cynthia Holcomb, Tammy Miller and Lori Williams for their friendship and care. In addition to her parents, Evelyn was preceded in death by her husband of over 59 years: Ronald Dean Temple; one son: Troy Michael Temple and several brothers and sisters-in-law.